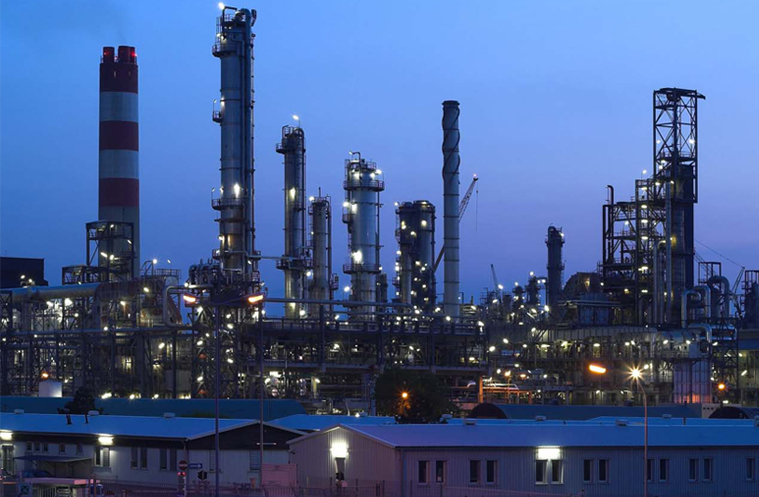 The process of crude oil refining is a long and complex process that is unknown to most people, even though its final products are used by most people daily. Raw crude is not particularly useful in any application, so it is required to chemically transform the product into more advanced products. 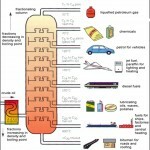 The following explanation of the process of crude oil refinement will give you a brief overview of how the base product is transformed into its innumerable components, nearly all of which are taken for granted as part of modern living. The first step of the refining process is known as distillation, where the raw crude is boiled and condensed, and the heavy hydrocarbon molecules are separated from lighter ones. Heavier crude takes much longer to break down, and stays toward the bottom of the distillation column, while lighter crude rises quickly and is ready much faster. Next, hydro-processing is required to remove the sulphur from the crude oil. This step is essential in creating a more stable, less hazardous product, and in creating a more environmentally friendly byproduct from the raw crude. This is followed by the cracking process that breaks larger hydrocarbon molecules into smaller ones, through the use of heat and other catalysts. 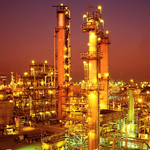 All chemical impurities are removed in the reforming process that follows immediately afterwards. For gasoline in particular, reforming helps to boost octane levels, in order to create the most efficient and safest possible petroleum product. 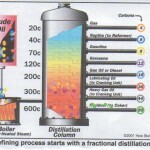 There is a very long process in the beginning of crude oil refining. Further blending and repeated quality control are required in order to insure correct chemical reactions are taking place. 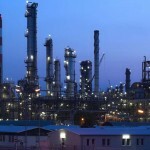 The most common function of refineries in contemporary times is that of petroleum refining, which produces gasoline, kerosene, diesel fuel, and other sources of energy for internal combustible engines. In addition to the factor of time, crude oil refining is subject to multitudes of external elements, such as the price of crude per/barrel, shipping costs, quality of raw product, and general availability. All of these combine to create the products that power cars, ships, aircraft, and entire cities and countries.